DETROIT - June 4, 2018 - PRLog -- Gospel recording artist Carl B. Phillips is scheduled to perform during the Detroit Music Weekend on Saturday June 16, 2018, 5:30 pm, in downtown Detroit, on the Ford Stage next to the Detroit Music Hall. 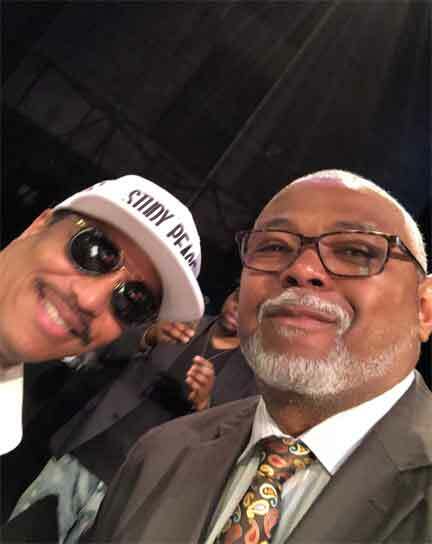 Carl has been singing gospel music in the Detroit area for over 40 years and he's excited about being selected to represent gospel music during the Detroit Music Weekend and to have an opportunity to share music from his debut cd "Great Rain". Also, Carl is looking forward to seeing his childhood favorites the Jackson's, who are being honored and preforming during the Detroit Music Weekend. According to Carl, "I fell in love with music after my parents gave me a copy of the Jackson 5's Third Album". I am blown away that I have an opportunity to sing on the same weekend the Jackson's are being honored". Carl has performed live in Los Angeles, Las Vegas, Nashville, Atlanta and Chicago. His television appearances include, TV-57 Atlanta Live, The Dorinda Show on TCT Network and Dr. Bobby Jones Presents on the Impact Network. Locally, Carl has performed in the Ferndale Front Porch Concert Series and he performed during the 2017 Michigan State Fair. Carl B. Phillips and Friends cd "Great Rain" is available on all digital outlets and through Carl's website. Also Carl's music can be streamed on Pandora, Spotify, Tidal and Apple Music. Detroit Music Weekend commissions, produces, presents and markets a full spectrum of performances; music, dance and theater. Showcase stages offer opportunity to up-and-coming artists, invigorating the pipeline of next-gen talent. Cultural organizations, restaurants and retailers are invited to add to the fun by offering performances and activities whether on-site or in their own location. Detroit Music Weekend proclaims it to the world: "Detroit is open for business!!!"